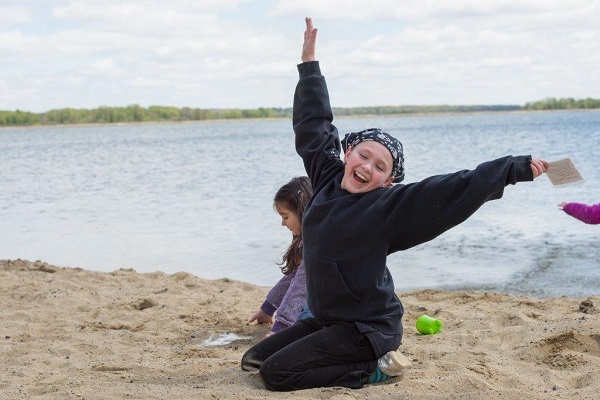 The fifth annual Hiawatha Beach Weekend recently brought families together at picturesque Leech Lake. WALKER, Minn. (June 8, 2017) – Larry Jacobson’s idea of a “small way to do something” involved bringing an entire community together and opening the doors to his lakeside camp to Wounded Warrior Project® (WWP) veterans and their families for a weekend. The fifth annual Hiawatha Beach Weekend recently brought families together at picturesque Leech Lake. Guided fishing tours, beach volleyball, paddleboarding, boating, horseback riding, hiking trails, bicycling, golf, and swimming were available – all in a relaxing setting that allowed veterans to connect with other warriors and nature. The Jacobson family blocked the weekend that starts the summer season for veterans and their families. People and local businesses in and around town donated food, gift cards, and their time to show their encouragement for the recovery of warriors with visible and invisible wounds. Twelve local fishing guides gave up business during the opening week of the season to take families on the lake. Larry started making Cabin 9 available to veterans on weekends 10 years ago. In 2013, he decided to offer his entire camp in what’s become his family’s favorite event of the year. Hiawatha Beach and the surrounding communities made sure WWP veterans and their families weren’t forgotten, either. The attendees enjoyed the overwhelming displays of gratitude. Army Reserve veteran and WWP peer mentor Connor Moore hoped other warriors would expand their comfort zones by joining him at a nightly campfire. Including one warrior who didn’t leave his room the first day. “He was a recluse and wouldn’t come out,” Connor said. 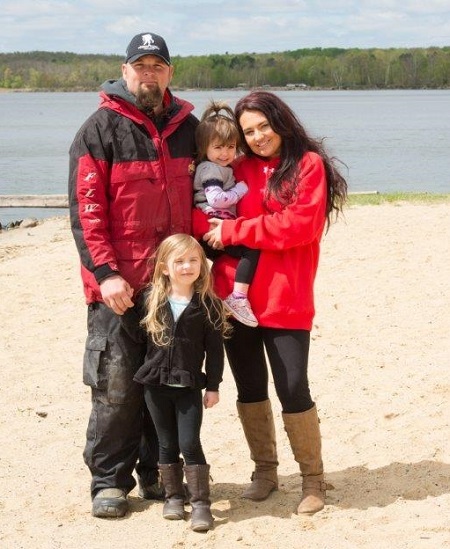 “We helped him realize he’s safe because he’s around veterans. He joined us at the campfire during the last night, and then he came down for breakfast the next morning. Peer support plays an important role in the recovery process as injured veterans rely upon one another’s learned experiences when managing day-to-day challenges. This special type of therapy reintroduces injured veterans to the unique bonds experienced during military service. Rarely duplicated in the civilian world, these relationships act as a secure bedrock that paves the road to recovery. Forrest’s wife, Jamie, was empowered by sharing her experiences with other family members of veterans.